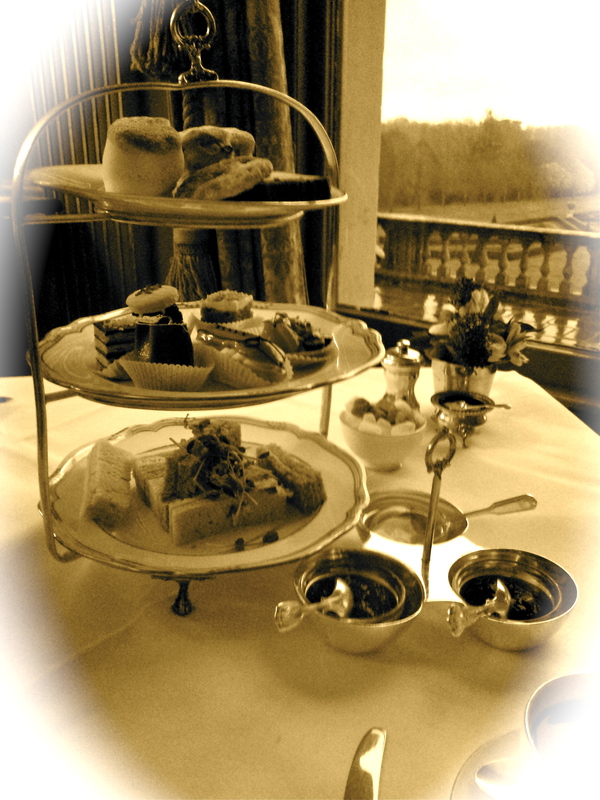 Yesterday I got to indulge in pretending to waft through Downton Abbey, when I went for afternoon tea in Cliveden in Berkshire. 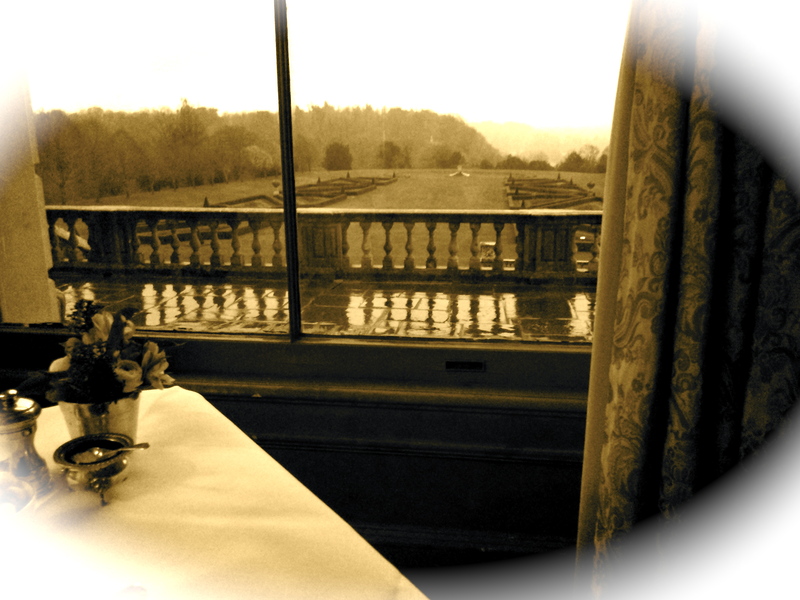 Cliveden – once the home of the Astor family – is the most beautiful and spectacular building I’ve ever been lucky enough to set foot in. 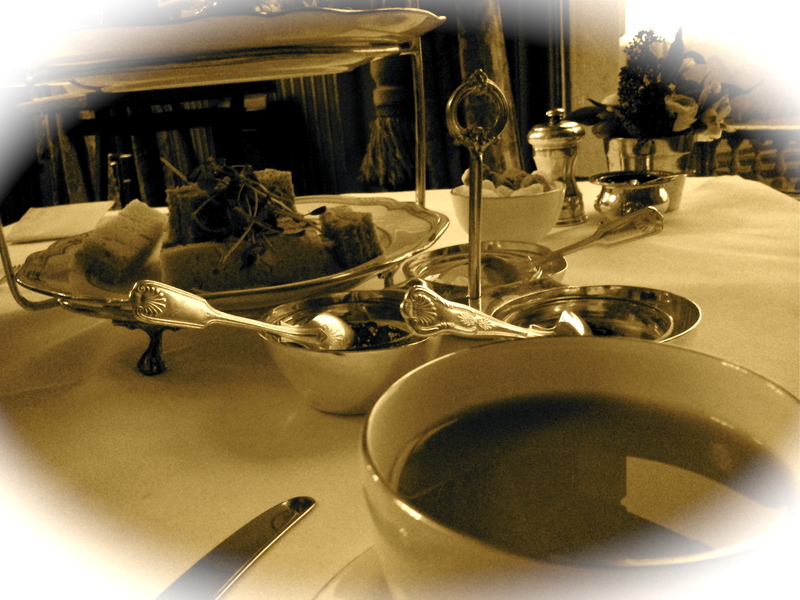 I had been given the ‘experience’ of afternoon tea for my birthday, via buyagift.com, and I was so excited! 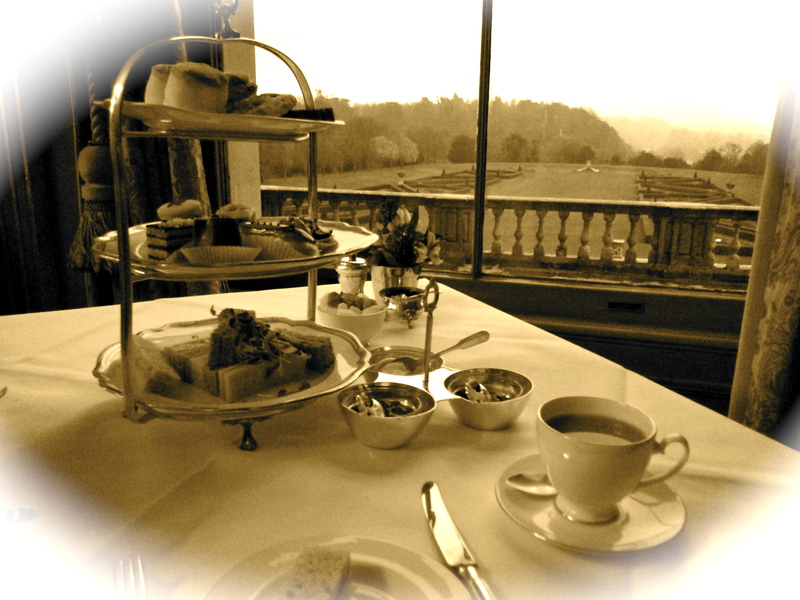 There was a menu of about ten different types of tea, from Earl Grey to Darjeeling, as well as Cliveden’s own blend, which is what we selected in the end. A waiter comes round to fill your cup, and refills it again whenever it gets empty – perfect. While we waited, we got plenty of time to look at the room around us, and out of the windows to the gardens. Both were beautiful. The walls were lined with books and paintings, and there was an impressive marble fireplace next to us. It was lovely and warm inside – the perfect antidote to the rain outside. We were soon presented with a silver cake stand of little finger sandwiches, scones, fruit breads, and of course cake, as well as dishes of jam, marmalade, and clotted cream. The scones were especially delicious! Tomorrow, however, it’s back to work, and I’ll be making lots of new charm bracelets, as well as some special new necklaces! What did you get up to this weekend? Head over to Handmade Harbour for another Handmade Monday of fabulous craft blogs and posts! ← Black Friday/Cyber Monday Picks! That sounds like my kind of days outing. You would need 2 hrs to pace yourself with all those yummy cakes and sandwiches. Bliss! Sounds amazing. Glad you had fun. The food sounds yummy. Wow, that sounds fabulous, lucky you! Sounds amazing. It’s good to treat yourself once in a while! 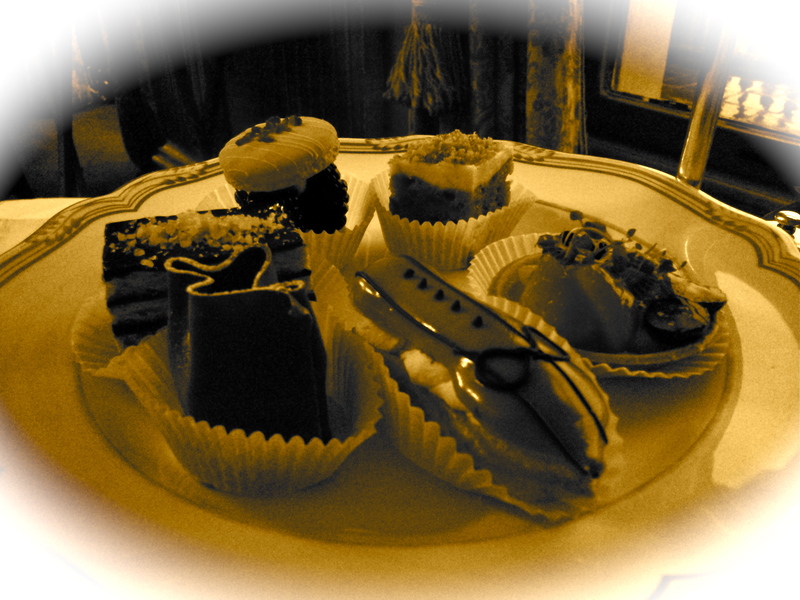 So many cakes, and so little time……it does you good to have a treat now and again! Like the photos too!